A warm welcome awaits you at Lacken Lodge B&B, an attractive newly built home set in its own gardens. This modern comfortable Bed and Breakfast is situated in the picturesque village of Birdhill just off the M7 motorway midway between Limerick and Nenagh. Birdhill (Cnocán an Éin Fhinn – The Hill of the Fair Bird) derives its name from a mythical encounter between Oisín of the Fianna and a giant bird which was causing widespread destruction in the area. The heritage towns of Killaloe and Ballina in the Lough Derg region are adjacent to Birdhill and the majestic Keeper Hill and beautiful Clare Glens are just 5 minutes away. 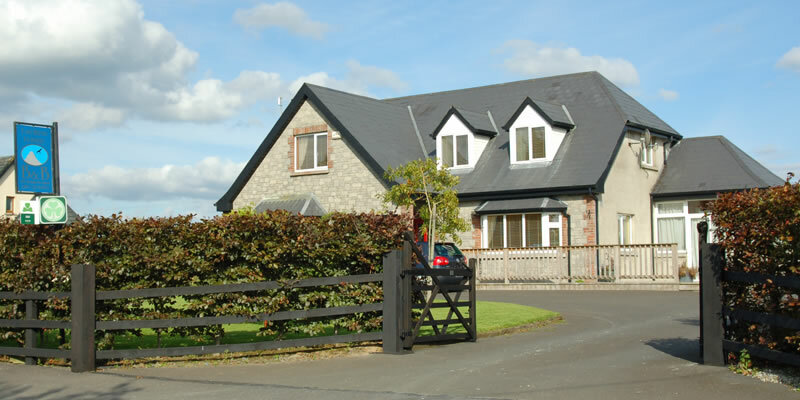 Lacken Lodge Bed and Breakfast is an ideal base for touring Tipperary/Limerick/Clare. Double and family en-suite rooms with T.V, tea/coffee-making facilities are available. There is a spacious bright dining room with varied Breakfast Menu. Evening meals and lunches are available on request. Free WiFi Internet Access is available throughout the house. There is a good selection of good pubs and fine restaurants within a few minutes drive from the house. We provide a varied breakfast each morning for guests. Whether it is Full Irish, Continental, Vegetarian or Special Diet, we can cater for you at Lacken lodge. We also provide evening meals on request.